I feel like I'm always on a search. The kind of search that can be comparable to some never ending quest, with ups and downs, twists and turns, and rights and wrongs. And no, I am not talking about finding the meaning of life (also equally troubling, but lets save that for another post) - I am talking about finding the one. The one that fits into your life seamlessly, fulfills all your needs so you never feel the need to search ever again. Yes ladies, I am talking about that one perfect beauty product. But no matter what I do, no matter how much I fall in love time and time again, it never seems to be enough and I always crave for more. But I guess that is beauty addiction for ya. My most recent search had been to find a hand cream that I could use before bed. Something thick and hydrating but not too sticky, something that smelt deliciously sweet but not too sickening. That's when I stumbled across this little gem. 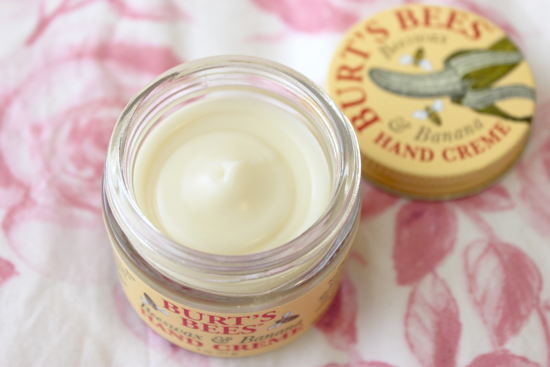 I love all Burt's Bess products that I have tried, but this hand cream is my newest love. As soon as I twisted open the lid on the glass jar I knew this would be a hit. True to its name, the cream smells just like bananas but more on the banana milkshake or smoothie side. It's definitely sweet but not so much that it makes you cringe. The jar is a decent size and I assume it will last me quite a while as the consistency is quite thick meaning I only need to use a tiny bit. Ever since I have bought this, I have used it every night and sometimes when I am about to head out, and I've only made a teeny tiny dent in it. It does take some time to sink in but that's what makes it perfect for night time use. 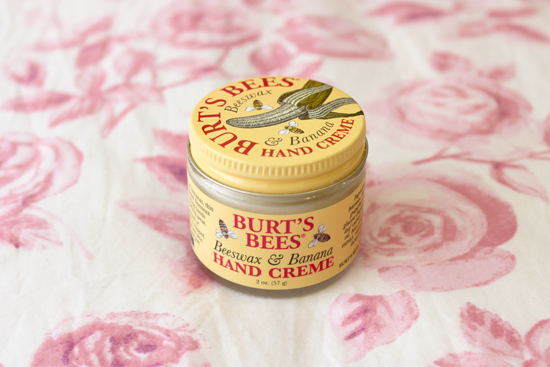 I don't have extremely dry hands but I feel that there has been difference since I have started using this. This retails for about $17 in Australia and can be purchased in places like Priceline or Myer. I think the price is reasonable considering the size of the product and how little you need to use for it to be effective. When I finish this (if I ever finish this!) I will definitely re-purchase. It also comes in an almond and milk smell/flavour. I usually love almonds, and I am a devote to almond milk, but that one just didn't do it for me, the smell reminded me of medicine for some weird reason and really do not want to feel sick before bed! This little baby has found a new home on my bed side table (for now), well at least until I feel the need to search and buy another one! Ahh that pesky beauty product addiction! 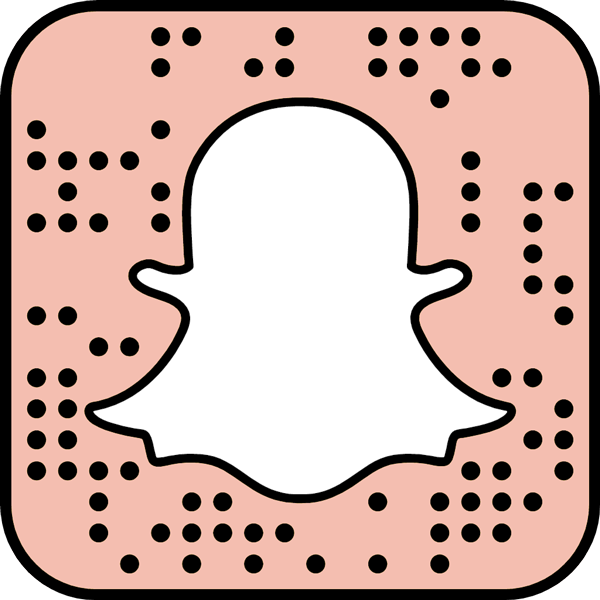 What beauty products are you constantly in search for? Have you tried this baby, what are your opinions? Comment below!